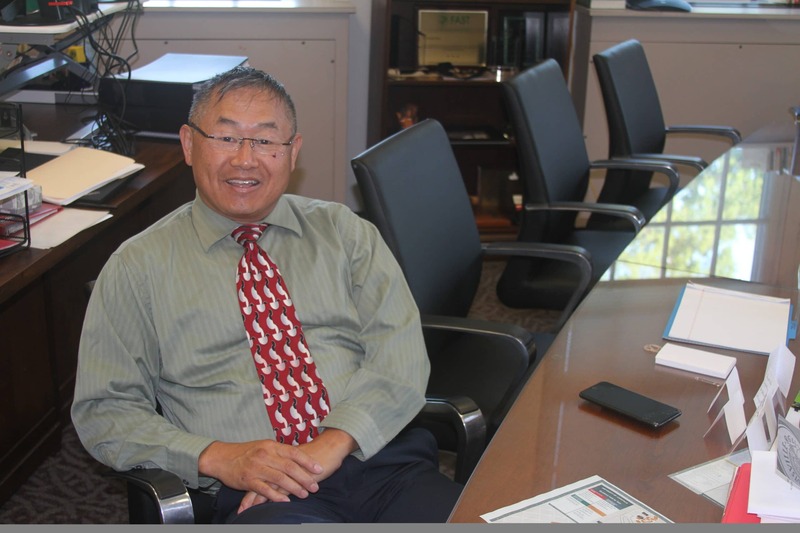 Former chief operating officer Joseph Han will be paid $20,000 monthly for the next six months as part of his separation agreement with the university. President Neeli Bendapudi fired him Sept. 26. His responsibilities were divided among other departments as part of an administrative restructuring. Bendapudi, Chief of Staff Michael Wade Smith, and Mary Elizabeth Miles, the director of employee relations and talent management told Han the university was “separating” his employment from them. He was placed on administrative leave. Han was allowed to choose whether he wanted to resign or be dismissed by the board. He chose the latter, so at Oct. 18’s board of trustees personnel committee meeting, Bendapudi submitted her recommendation that Han’s contract be terminated. University spokesperson John Karman said the university does not have an estimate for how much the restructuring will save the university. Han’s last paycheck will come April 30, 2019. In an email to students and staff, Bendapudi said the restructuring does not impact day-to-day operations of affected divisions. “We expect it to improve coordination between these units and the areas of campus they serve,” she said. Bendapudi said operations, business operations and planning, design and construction departments will now report to CFO Dan Durbin, who was hired in June. The U of L Police Department and Technology Solutions will now report to provost Beth Boehm. Environment Health and Safety will report to Rhonda Bishop, the vice president for enterprise risk management, audit and compliance. In Han’s seven months as COO, he oversaw the completion of the Belknap Academic Building and the SAC extension. Han also hired new U of L Police Department chief Gary Lewis from Cleveland State in July. Han was the first permanent COO since Harlan Sands left in January 2017. Sands was described as an “agent of change” while serving as U of L’s COO and CFO. In an interview with the Cardinal, Han said he tried to give staff a voice and allow them to be a part of solutions from their beginning.